Sergio Sister was born in 1948 in São Paulo, where he lives and works. His work hovers between painting and sculpture. His series of paintings are often formed by three-dimensional structures derived from everyday objects such as fruit crates, slats, and posts, appropriating their names as the work titles. Sergio Sister's work relates both to the abstract-geometric character of Brazilian art's constructive tradition and to the use of industrial materials typical of US minimalism. 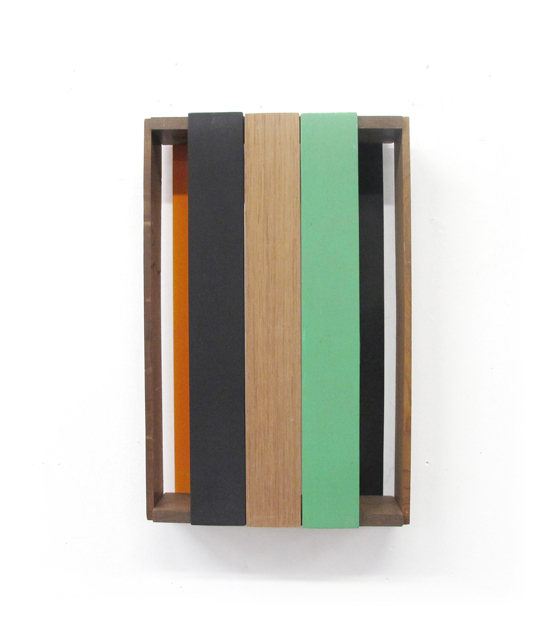 Kupfer's inaugural exhibition will include a selection of recently produced works in the series Caixas (Fruit Crates). Sister's work has been shown extensively throughout Brazil and internationally, and is included in major public and private collections such as the Museu de Arte Moderna in São Paulo, the Pinacoteca do Estado in São Paulo, the Pinault Collection in Paris and Museo Jumex in Mexico.